The former Borussia Dortmund boss, Thomas Tuchel has today confirmed that he is interest taking the job at his old club’s rivals. Even with an enticing prospect of joining Arsenal, Tuchel showed that he prioritizes the Bayern Munich job because of how big the club is. Arsenal might be an interesting option considering how competitive the English Premier League is but the prospect of joining the biggest club in Germany gives joy to any sensible coach because they are capable to challenge with the very best in the world. Bayern Munich are currently on the lookout for a replacement for interim boss Heynckes who will step down in the summer. Tuchel who turned down the opportunity to work at Southampton a fortnight ago is believed not to be interested also in the structure at Arsenal because it does not suit him. Only he knows what he means by that. He would even prefer the Chelsea role over the one at the Emirates. 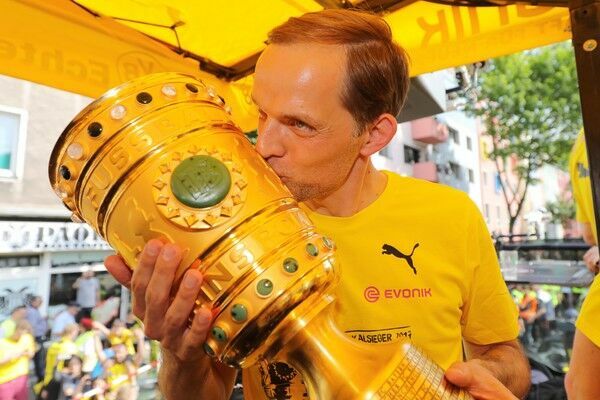 Tuchel seems to be very ambitious and it would be wise if he picked any role from the aforementioned 3 clubs when it comes up because they do not just come along for they are very big clubs.